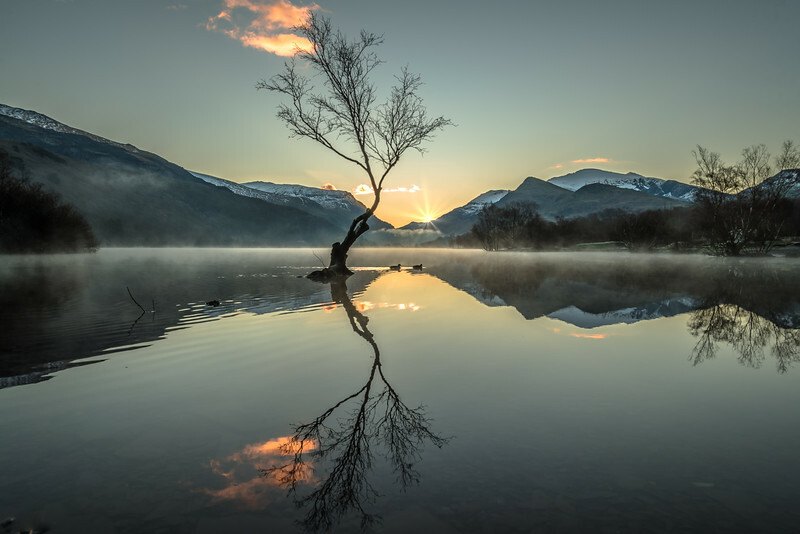 The lonely tree is situated on Llyn Padern at Llanberis in Snowdonia. Taken on a very cold and frosty February morning. I arrived at about 4.40am and watches as the sun rose in the valley ahead, it really was a magical moment as a few wipy clouds passed by the tree just as the sun made an appearance. Moments like this are very rare indeed.